Simple to execute pocket hole joinery has changed the face of woodworking for millions of amateur enthusiasts. 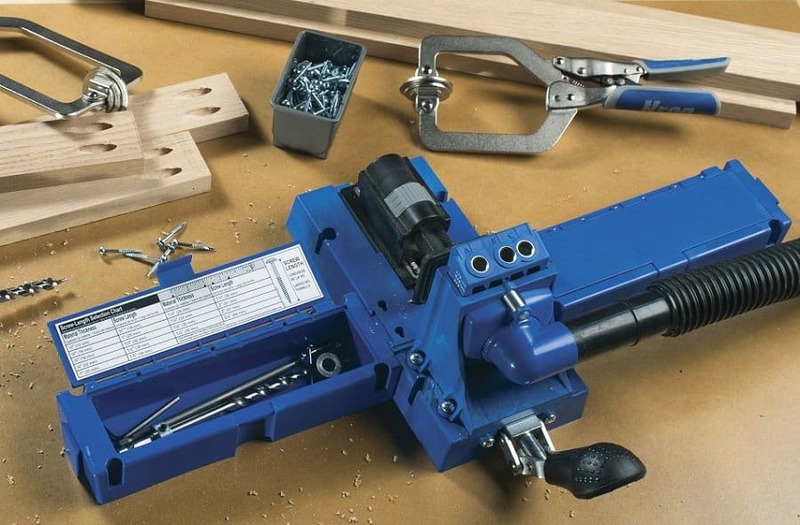 With an easy to use pocket hole jig, it is now possible to make strong, professional looking projects without the prerequisite years of training or experience. Furthermore, it’s not just a tool for beginners. Experts can use the pocket hole jig to create joints with speed and precision. (Although purists may disagree and state that the only method should be one that takes time and experience). We take the view that the invention of the pocket hole jig opened up joinery to a whole new audience of part-time woodworkers. That can only be a good thing. So with that in mind, here’s our SU guide to using the wonderful pocket hole jig. For the purposes of this guide we will be using the excellent Kreg pocket hole jig. Kreg is the best selling brand of jigs by a long margin, (head here for a top 5 review round up on some of the best jigs on the market), so it is likely you will be using one of their offerings too. There are two main versions; the K4 and the newer K5. The K5 is easier to set up and adjust, however it is more expensive. What you opt for is entirely up to you and your budget. Anyway, if you’re ready, let’s get to it. First you need to set the drill bit guide of the jig to match the thickness of your board, (the jig will come with instructions for the relevant depth settings). This is done by shifting the adjustable collar that is held in place with a set screw, (an Allen wrench will do the trick here). You will need to drop the drill bit into one of the guide holes. Allow the tip to touch the plastic base and then pull it back a couple of milometers, (this will prevent unwanted drilling into the base). Lock the collar in place by tightening the set screw. Now its time to start drilling. Most jigs will have three holes spaced in a way to give you versatility on the positions that you want to drill. Pocket hole joinery is highly efficient (and easy to execute) because you only need to drill a hole in one board. There is no need to measure up and drill a matching hole in a mating piece of wood (like you would when making a dowel joint). This is one of the major reasons pocket hole joinery and the pocket hole jig is so popular with beginners. For a guide on choosing which screws for the job in hand, take a look at the video above. The key thing to remember here us that you need to make sure the screw goes into the face or edge grain of the board you are using. One way of doing this is to simply organise your drilling so that the pocket holes are placed in backs or undersides of projects. Here they will be out of sight and mind. Your woodworking will look pristine. However, where there is no choice and your pocket holes need to be placed in a visible position, it is simply a case of plugging the hole with a dowel or a pre-made wood plug. Clearly, the latter is the easiest solution. With the plug glued in place, you only then need to sand them flush against the rest of the wood and paint or varnish over them. And there you have it, a quick guide to the fantastic pocket hole jig. If you enjoy tinkering with woodwork projects there really is no excuse not to own one. 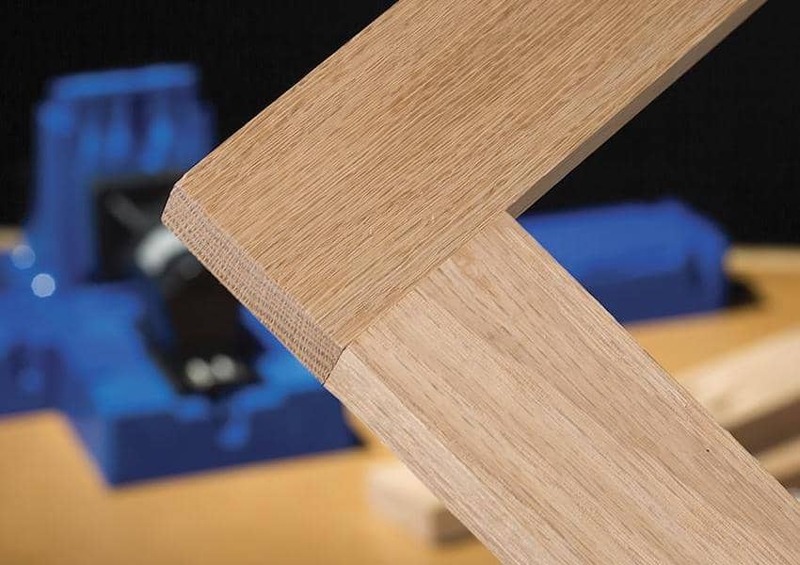 Affordable and easy to use, you will see a vast improvement in your joinery almost immediately. And what hobbiest can say no to that.